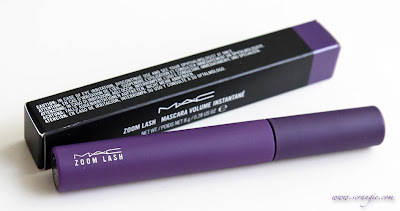 This summer, as part of the Beth Ditto collection, MAC has released two new colors of Zoom Lash mascara. Blue Charge, a bright blue, and Plum Reserve, a soft plum-purple. These colored mascaras can be used alone or as a topcoat over another mascara. The effect will be more subtle when used over black mascara or on dark lashes, but if you have naturally light colored eyelashes or if you start with a white lash primer (like Urban Decay Eyelash Primer Potion), the end result will be brighter and more noticeable. 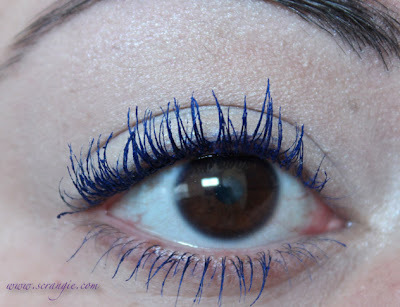 Here's Blue Charge used in a look. It's on my bottom lashes only here and I think it looks really cool. The eyeshadow I'm wearing is the Sugarpill Heart Breaker palette. 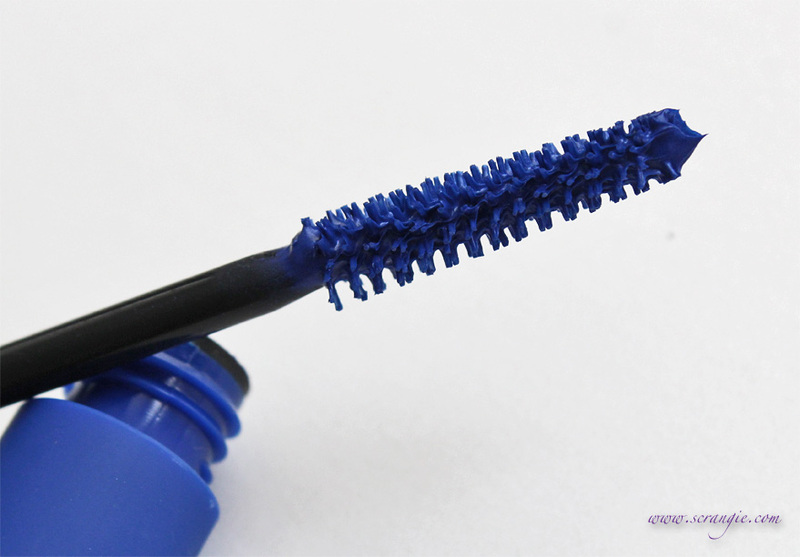 Works well as a mascara. Most colored mascaras I've used give little to no volume or length. The Zoom Lash formula actually gives sufficient volume and length to be used alone instead of as just a topcoat over normal mascara. Blue Charge is bright and noticeable. It shows up even on dark lashes like mine and is a great accent for brown eyes. I experienced no flaking, smudging or eye irritation while wearing these. The colored tubes are very attractive. 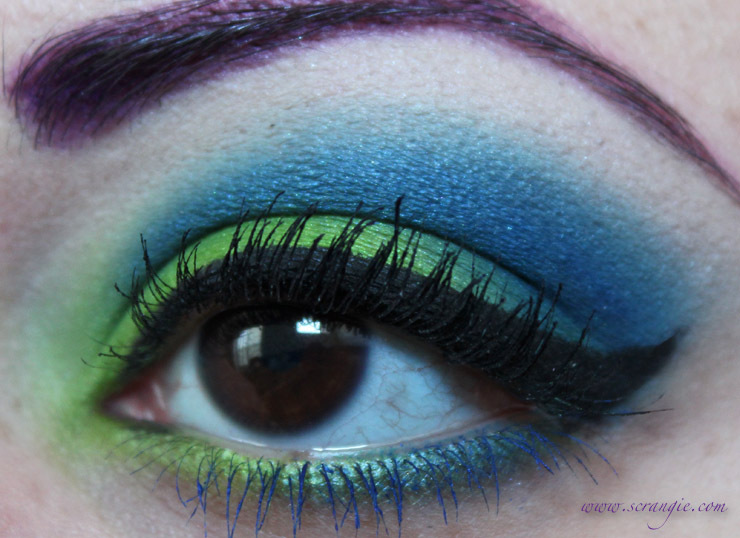 It's a great way to wear color on your eyes if you don't want to wear eyeshadow or are in a hurry. Plum Reserve doesn't show up well on my lashes. If you look closely, you can see that it's subtly purple, but it's not bright and obvious like Blue Charge. 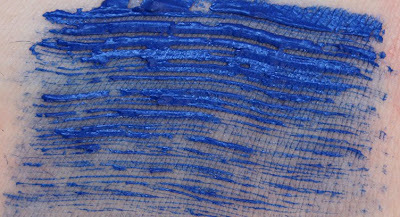 Because they dry so fast, both colors can get a little chunky or rough-looking if you use more than two coats. 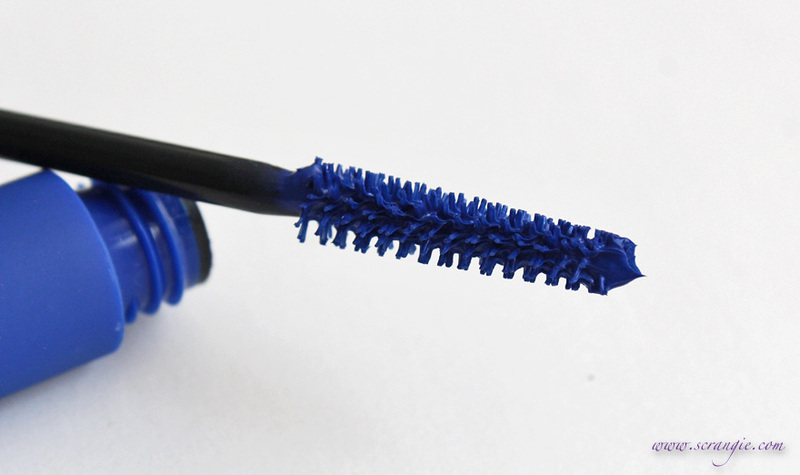 Keep a lash comb handy just in case. 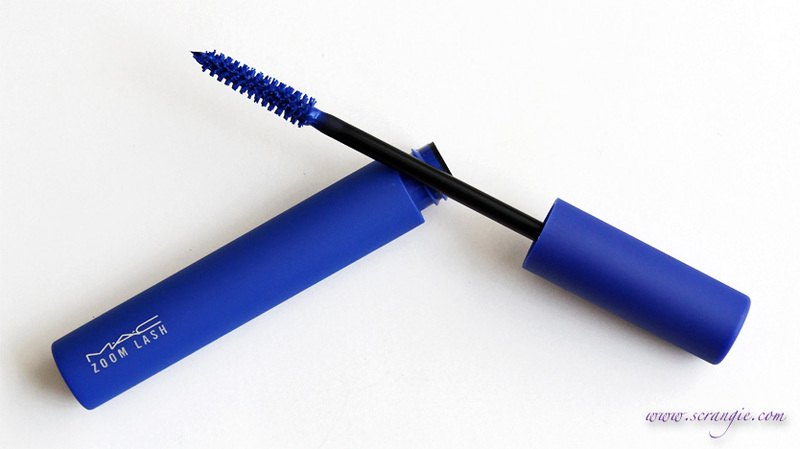 Blue Charge is definitely worth checking out if you're curious about colored mascara. I personally loved it- it actually shows up on dark lashes and I think it looks both interesting and pretty. Plum Reserve had too subtle of an effect for me to want to spend $15 on it, but Blue Charge exceeded my expectations. 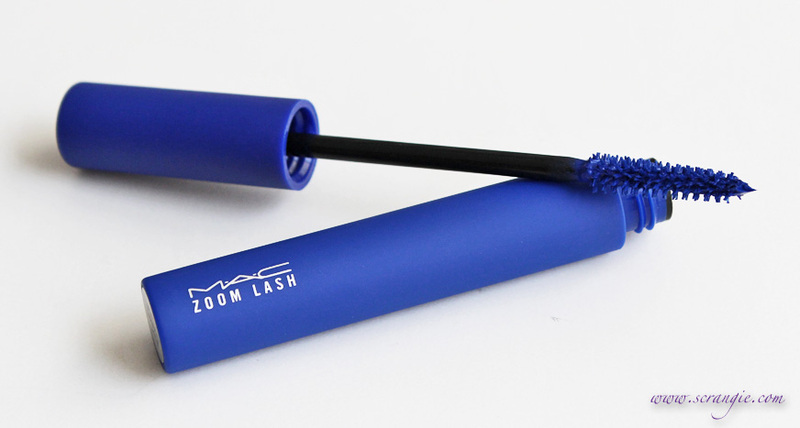 The MAC/Beth Ditto collection Zoom Lash colored mascaras are $15 for 8g/0.28 oz and they are both limited edition. oh I loved colored mascara in the 80's!! I really like the purple on you, it's not as bright as the blue but it's a pretty shade of purple for certain. 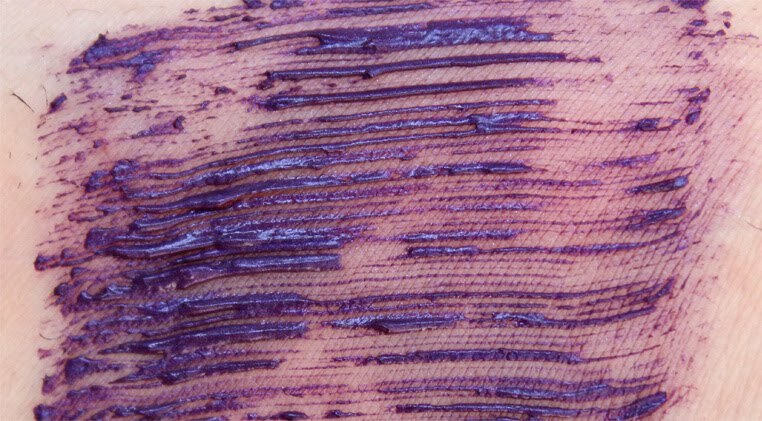 Did you use a primer for these swatches? 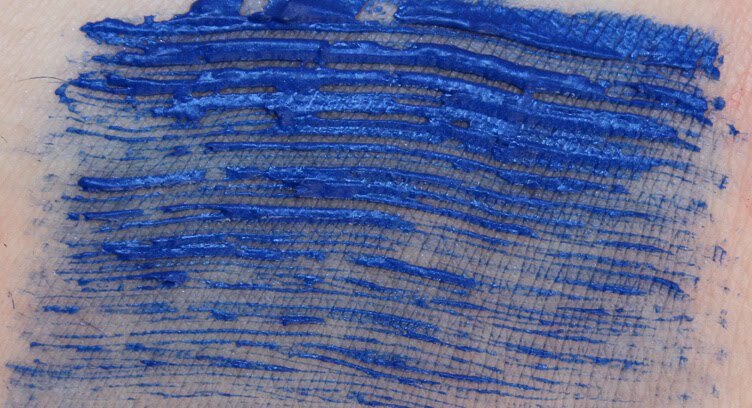 The blue looks so bright in your swatch! I've been wanting a blue mascara since my old blue isadora mascara bit the dust. I was eyeing the YSL majorelle blue mascara because it looks so vibrant, but the price tag has been keeping me at bay, but your swatch of this is fantastic, and this is half the price! Nope, no primer, just two coats of the mascara on bare lashes. I'd say go with the half price one for sure! 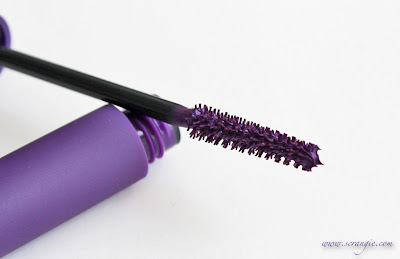 I can't imagine paying YSL prices for mascara, ouch! The blue looks amazing with the Sugarpill colours. My problem with coloureds is they never seem to have enough oomph, I put that down to liking a full on mascara look. CD did a purple one a few years ago, called 'iris', that was pretty nice. I'm so glad I've found someone who has more cosmetics than me :). Exactly! 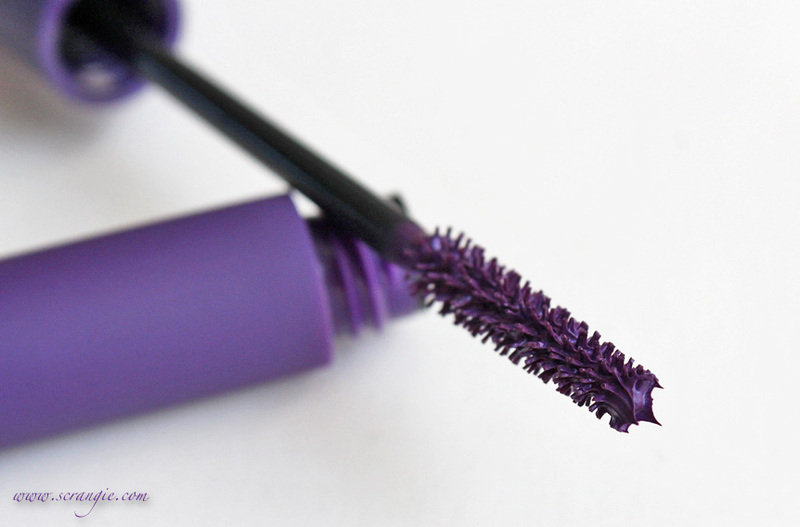 I've had a lot of colored mascaras over the years and they've all been pretty weak. This new blue one is the best one I've tried so far. Very colorful and adds decent enough volume. And ah, even more proof I need to buy more sugarpill shadows, your makeup looks awesome. Awww, thank you! And yes, you need more Sugarpill shadows. The new Heart Breaker palette is the best one yet! 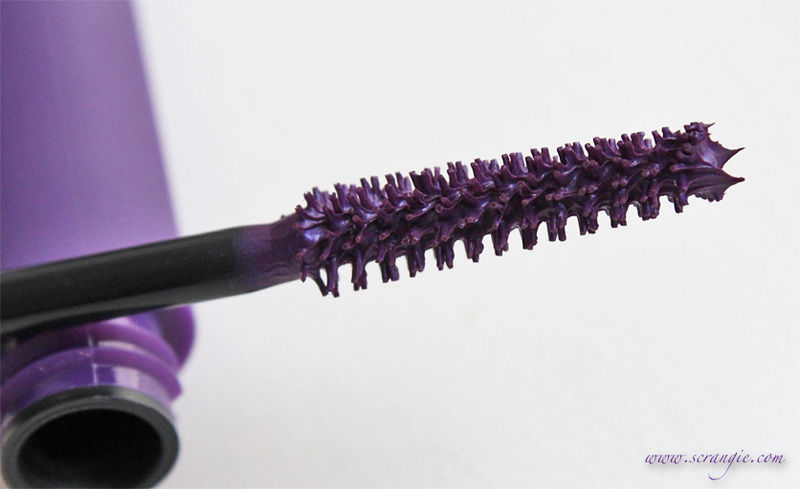 Thanks to your awesome pictures I just placed my order for both these mascaras! :) I was dying to have the blue one, but I also wanted the purple one because I have green eyes. Hopefully it will show up on my lashes because I have blonde eyelashes anyway. Plus like you said I can put a coat of white primer on underneath to really amp up the color if I need to. 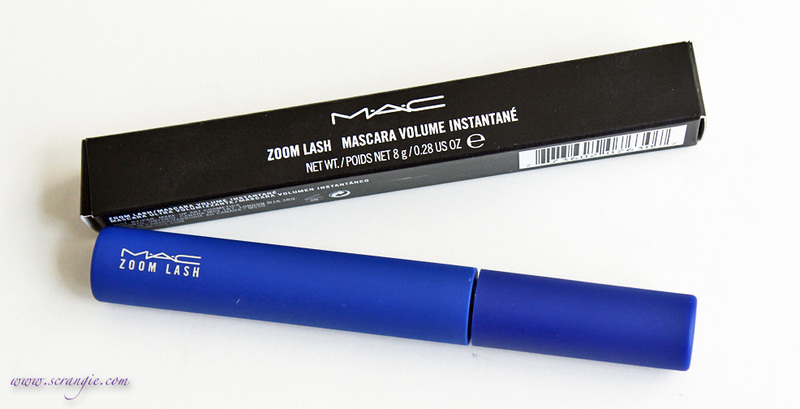 I went to mac to purchase the blue mascara but it waa already sold out and its a limited adittion how sad ! . 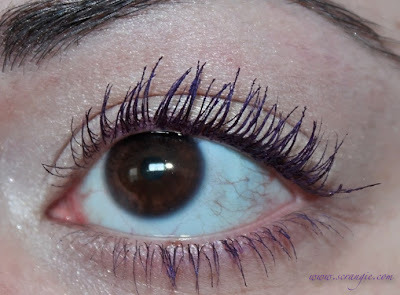 I asksd the lady is the purple as dramatic she said of course now my mistake was not testing it out there in the store when i tried it out at home i got super close to the light and i still saw nothing Maybe it works on light eyelashes like blond or light brown .